ABMP provides the resources your school needs to succeed. Want to learn more about how ABMP can support your school success? Call 800-458-2267 or email education@abmp.com. of ABMP membership for both students and professionals. Online School Access: ABMP school resources, including our Student Success Curriculum to use in the classroom, Instructor training resources and archived webinars to develop your staff, and school business resources to support your admissions and career services departments. Plus, every ABMP School member gets a window decal to show off your affiliation! Need school liability insurance? Add it to any of the above packages! Free Student Membership: Free liability insurance to protect students in the classroom, plus ABMP Student Life materials sent every two weeks to encourage good study habits and enhance classroom activities. 2019 ABMP School Forum: $100 off your registration to San Diego, CA, when you sign up by February 1, 2019. To qualify, you must sign up all of your students at no charge. 2019 ABMP School Forum: One complimentary seat at San Diego, CA (a $199 value), when you sign up by February 1, 2019. ABMP Exam Coach Group Discount: The best MBLEx test prep in the profession at a special discount of $10 off per student, and ABMP Exam Coach Tracker access for your school to monitor of students’ progress. You’ll love this online, interactive test prep! To qualify, you must sign up all of your students at a special $65 per student ABMP Exam Coach rate. The Future of Massage Test Prep is Here! 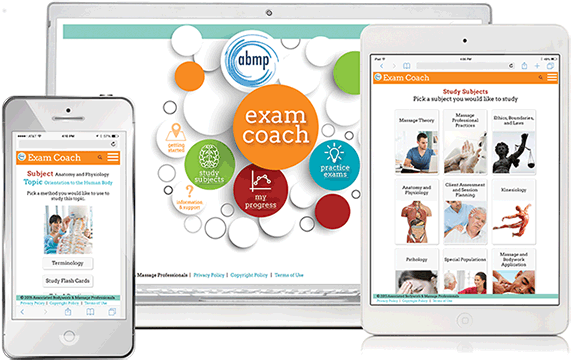 Introducing ABMP Exam Coach, the most advanced, easiest-to-use online MBLEx test prep in the profession. Try a free demo and see how much fun it is to study with ABMP Exam Coach. 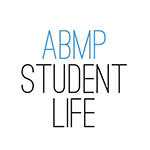 ABMP Student Life will help guide your students through graduation—for FREE. Sign up all of your students for free today! Download this spreadsheet, fill it out, and email it to education@abmp.com. ABMP’s comprehensive occurrence form insurance coverage protects you from liability claims in your professional practice, in your entry-level massage classrooms, and in classes where you teach continuing education to other professionals. We’d like to thank you for the part you play in advancing our profession. And that starts with a discount on Professional or Certified membership. All instructors who currently teach students enrolled in an entry-level, state-approved massage or bodywork program are eligible to receive a discounted rate. Verification of eligibility by the training institution where you teach is required. ABMP Teaching Kits on topics such as study skills, time management, and much more. Downloadable study aids, including graphic organizers, note forms, and goal-setting resources. On-demand webinars to bring presentations and techniques from the profession's top names into your classroom. Great classroom activity ideas like "think alouds," response cards, and emotional intelligence-building exercises. Business class resources with ABMP BizFit toolkits, website builders, and marketing resources. You have access to all of the resources we provide our Professional or Certified members, including Massage & Bodywork magazine, a free website and email account, client education tools, business management resources, educational webinars, discounts on continuing education opportunities, and more. Students have access to a broad array of academic and career resources through Student membership and ABMP Exam Coach. See all the ways we support your students by exploring the information under the Student tab. Massage & Bodywork magazine, ABMP's award-winning publication, is a bimonthly print and digital magazine that links you to the greater massage profession. You also receive the Massage Educator newsletter and can connect with ABMP and other members through ABMP's social media sites and online forums. 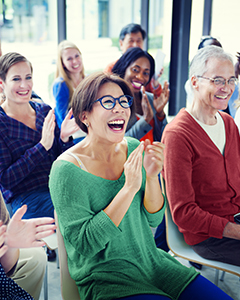 Join ABMP at regional complimentary Instructors on the Front Lines workshop with new topics each year. Our workshops have been presented to more than 3,500 massage instructors across the country! As a member, you receive valuable discounts on a variety of goods and services, including discounts on credit card services, travel/lodging, auto and home insurance, legal services, cell phone service, and other extras! Discounts on massage tables and supplies, cell phone service, and more. Extensive instructor resources and classroom support. Learn more about ABMP’s Instructor on the Front Lines events for instructors and teachers. Registration is open for the 2019 ABMP School Forum in San Diego on April 5–6!